Undisputedly considered the most romantic city in the world, Paris is a city of passion and culture. Iconic sites like the Eiffel Tower, Arc de Triomphe, and Cathedrale Notre Dame de Paris add a special effect to the air—one of unique beauty. The legendary Louvre, with it’s glass pyramid and tens of thousands important works of art, is a staple of any trip to Paris. Love and passion saturate this city and, even more importantly, the cuisine. French food is world-renowned for good reason. The richness of flavor from everyday fresh ingredients deserves a spot at the top in the culinary world. Though simplicity doesn’t mean easy. The preparation process is often precise and lengthy, but absolutely worth it. 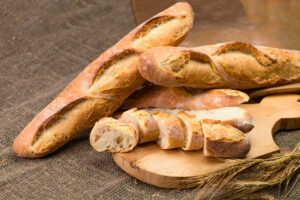 A daily staple in parts of French culture, the baguette is a perfect example of simplicity done right. The competition for best baguette is a serious ordeal in Paris, especially according to the Grand Prix de la Baguette. The honor of this 2018 culinary competition went to 10 final contestants. 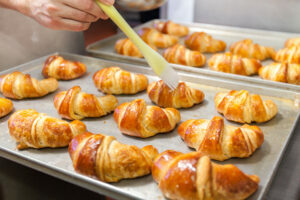 Another well-known food found around France, with a concentration in Paris, is the croissant. This crispy treat holds a moist inside that melts at the slightest contact with the taste buds. Add in a buttery glaze, and the experience of a French croissant is perfect for a seat outside of café or bistro and watching Paris life flow by. According to Condé Nast Traveller, these are top spots for the heaven that a freshly baked croissant imparts. Regardless of why the traveler chooses Paris, from a top culinary experience to the classic sights of Paris, there is more delight in the air and food than most other cities around the world. Travelers will be stunned by the amount of fresh ingredients cooked into delectable pastries, entrees, and (most importantly) desserts.